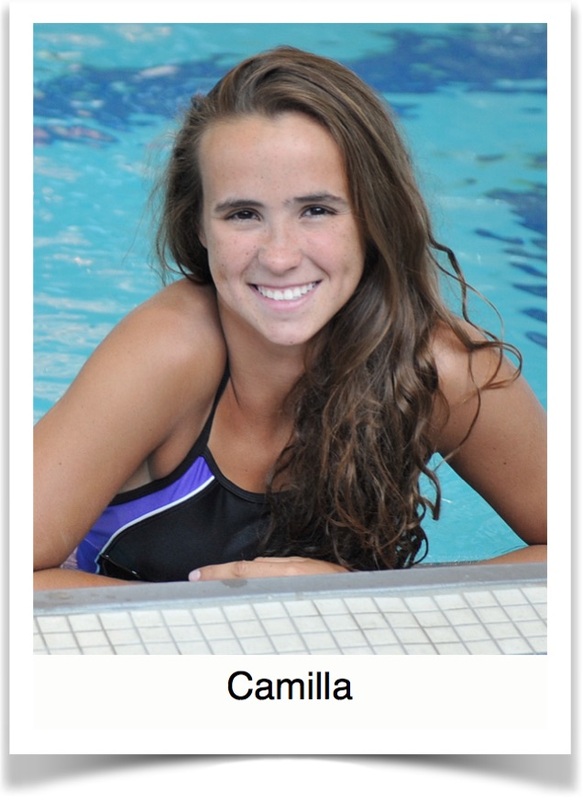 Since age five, Camilla has been a competitive swimmer. She has excelled throughout her youth and continued swimming into high school. Camilla hopes to progress onto the collegiate level of competition. Unfortunately, two years ago Camilla began experiencing pain in her upper back and behind her right shoulder. She went to an orthopedist who diagnosed her with chronic impingement syndrome and recommended physical therapy. She received physical therapy and experienced some relief but was never pain free. Nonetheless she was discharged from physical therapy and continued swimming. Camilla’s pain increased over time and she noticed that her backstroke and butterfly strokes were most affected by the pain. While training during practice one day, Camilla recalls a specific training maneuver that caused her to experience a strong popping sensation in her shoulder and severe pain. She knew instantly that something was very wrong. When Camilla was prescribed to return to physical therapy she chose not to return to the facility she had attended previously due to “poor confidence with her previous treatment.” She had gotten a recommendation to try Blaser Physical Therapy. She followed up with an appointment at Blaser Physical Therapy and immediately noted the difference in care. I really liked the one on one attention I received, the thorough evaluation, and the individualized program that was designed for me. Her evaluation revealed significant instabilities in her shoulder and her shoulder blade movement patterns. Having determined the underlying causes of her chronic pain, her physical therapist designed a rehabilitation program to address these issues. Her rehabilitation program included customized exercises for her to increase the stability necessary to participate in swimming pain free. Camilla noticed progress immediately after just the first few sessions. She received manual treatment each and every visit, which she believes was the defining element of her successful rehabilitation — something she had not received during her earlier physical therapy treatment. Camilla was discharged from physical therapy feeling very confident and pain free. Her physical therapist outlined a discharge plan that included consulting with a recommended strength trainer for continued strengthening. Her therapist communicated directly with the strength trainer to define Camilla’s specific requirements to maximize her success. I’m really happy that I came to Blaser Physical Therapy. They helped me to continue swimming and reach my ultimate goal of swimming in college.